I am on vacation and facing a quandary. I didn’t take photos for new posts before leaving Washington and I didn’t bring any business casual clothes on vacation with me, so I have nothing to post. Unless I post vacation pictures. I leave you to decide which is more unbearable: no post or vacation picture posts. 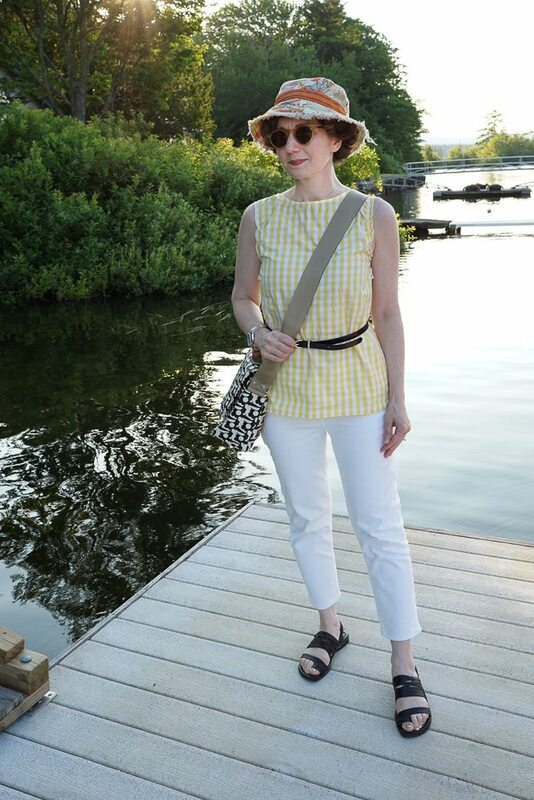 I wore: a navy utility jacket, a short sleeved white blouse; a floral silk camisole underneath; cropped white denim jeans; the electric red sandals. 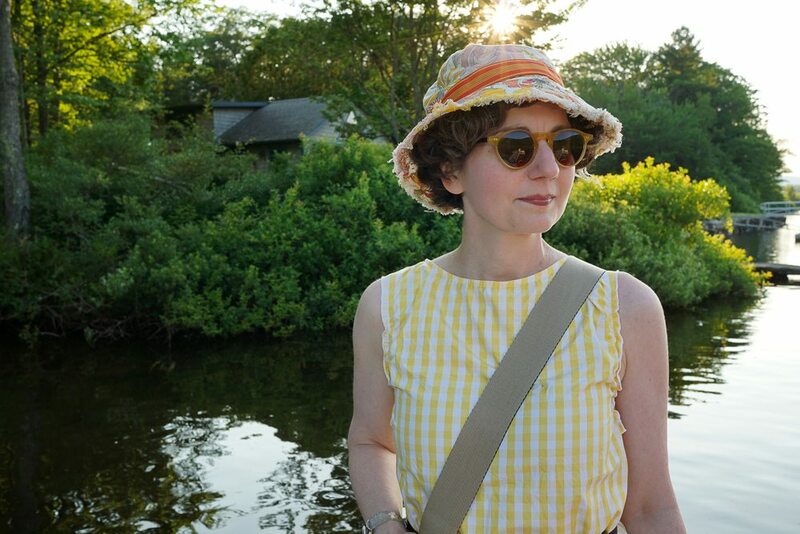 I also packed two crushable hats: this floral one, and a psychedelic, blue tie-dyed one. I carried an Orla Kiely messenger bag. This is my only hand (shoulder?) bag; I am more stringent about bags than I am about shoes when packing. Unless your vacation includes a fancy event for which a tiny clutch will do the rule is: ONE BAG. 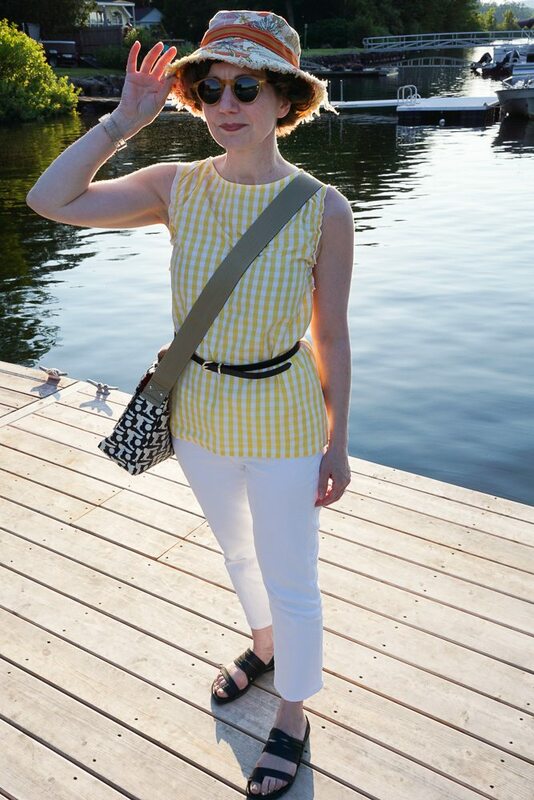 For an action vacation — and I am using that term loosely — an Orla Kiely bag is perfect. It’s not waterproof, but it’s water resistant and thus good for boats, pools, hikes. But it’s also stylish enough for fine dining and museums, should those opportunities present. a large bag of Utz Dark Russet potato chips. My plan was to hustle up Mt. Battie every morning and then live my life (i.e., fudge, potato chips) the rest of the day. On Tuesday we hiked a modest trail and it was hard. I was also thinking about bears and ticks the whole time, which I realize is both pathetic and sad. But the woods are scary, dark, and deep. 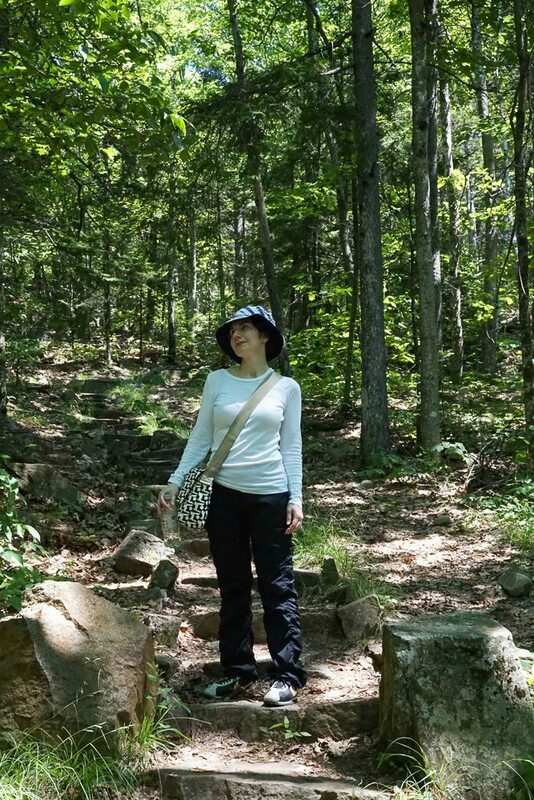 We did take a variety of anti-tick precautions: long pants, bound at the ankle, hat, and Deep Woods Off! That exclamation point is not my punctuation — it’s part of the product name. Our rental house is the size of a mouse’s teacup, perfect for us in all respects but one: no washer/dryer. Soooooooo. I may run out of exercise clothes. Quickly. Somehow, I overpacked and underpacked. Let’s see how this stacks up against last year. I stand by the shoes and the dresses, but why did I pack three jackets when I was wearing one? 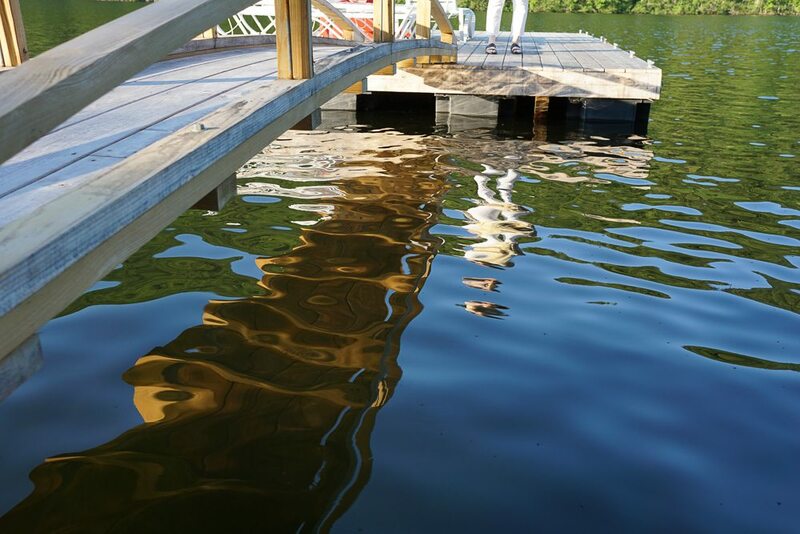 There is no laundry, but we have this lovely floating dock arrangement, where we sit and enjoy the late afternoon sun. I will contrive to make the best of this situation! Obviously, if I minimize the exercising, and spend most of my time sitting decoratively and reading on the dock, I will be fine. No posts is definitely more unbearable!! 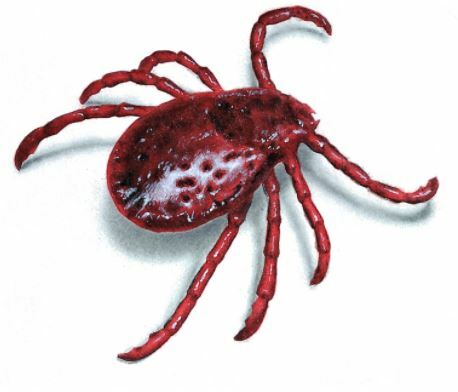 My trick for ticks and chiggers — learned the hard way — is to wear long socks and tuck my pants into the socks, I then spray rhe clothing, not my skin. 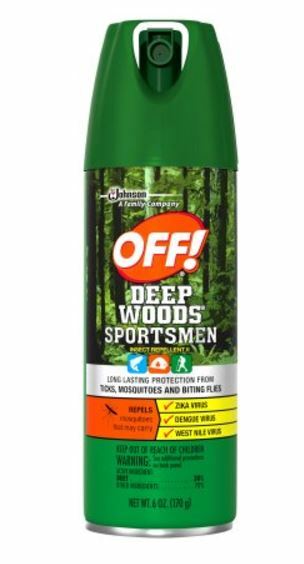 It’s not attractive, but in the deep, dark woods who cares! Oh I love Camden – -grew up vacationing on Lake Megunticook. Enjoy! Bubu, we are on Lake Megunticook this year! On Woodland. We love it. Do you remember where you stayed? No post would be unbearable. I appreciated the packing suggestions. For bags I have one that is similar to the one you took and I have a small shoulder bag (Italian leather from Florence) that is perfect for shopping and dining. The small one packs easily and takes up virtually no space. I struggle with shoes. I take three or four pairs and end up wearing the same ones over and over. 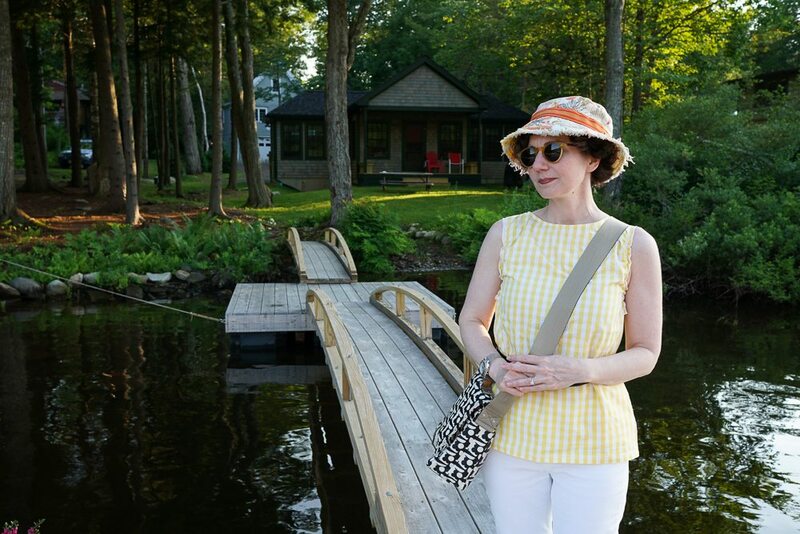 I love the gingham top – reminds me of my childhood! 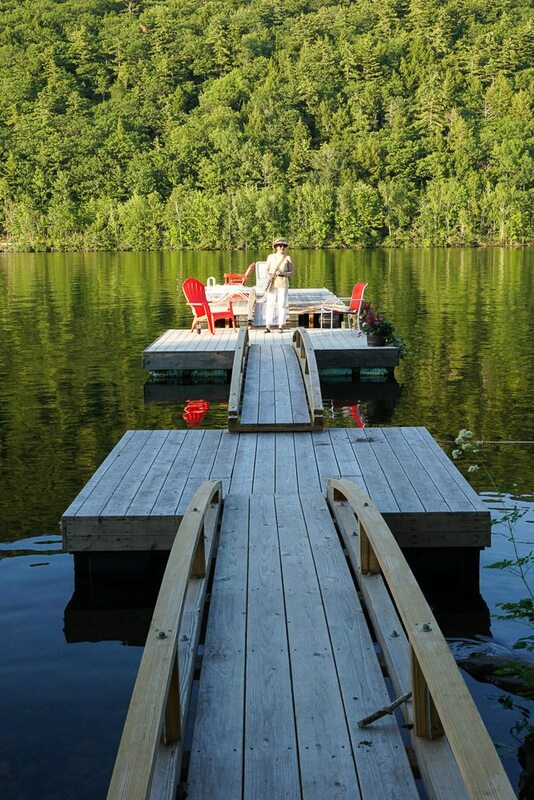 And that dock – fabulous. Yes, please post your casual clothes! That’s fun, too. 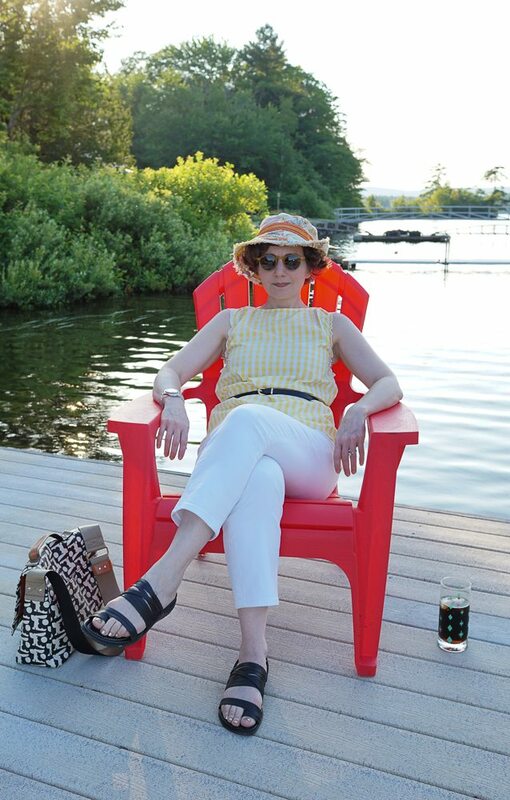 Also, I am vicariously enjoying the imaginary sensation of sitting on a floating dock. I will be in Maine this weekend, visiting my daughter at camp. Sadly, we will not be on the water. oh my goodness it’s beautiful! i’m jealous! post all your outfits please. I’m torn between vicariously enjoying your vacation and outfits, and feeling that you and the Photographer really deserve some time off for your power-slacking! I tend to both overpack and underpack, too. On holiday and business travel. But it’s never my fault! There’ll be a heat wave, so I don’t wear the warmer clothes (overpacking). Or I’ll find a great yoga studio, and need more exercise clothes (underpacking). No posts would be unbearable. 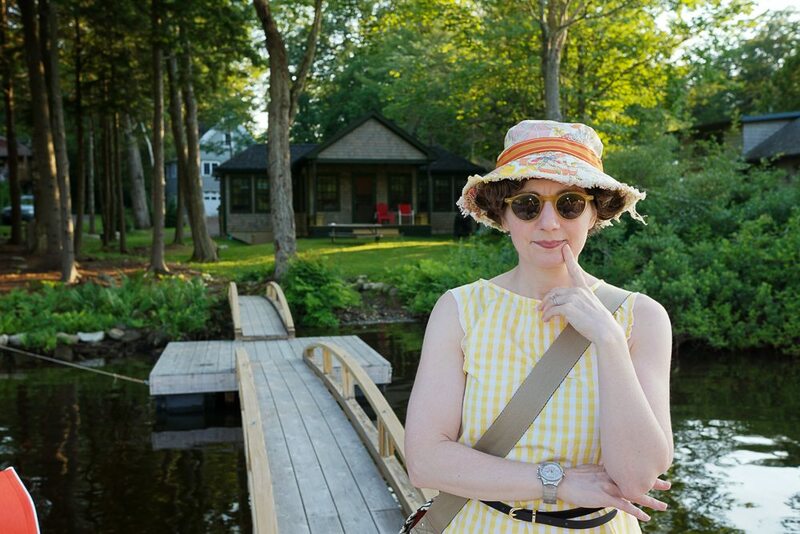 I’m going to stay in a wee cabin on Lake Cayuga next week, but I definitely won’t be nearly as well dressed! Another vote for vacation posting! In sweltering Philadelphia, even just the thought of lingering on a floating dock feels wonderful. Thanks for this. Where did you get the pants? I have been trying to find khaki pants to replace some old pair that somehow got frayed at the bottom. Glad to see you packed hats and Off!, but what about sunscreen? I have very fair skin and unfortunately prone to sunburn. May I recommend a really excellent sunscreen, La Roche-Posay Broad Spectrum SPF 60? It is for all skin types and water resistant for up to 80 minutes and fragrance free. It helps decrease chances for skin cancer and early skin aging caused by the sun. Your post is otherwise great but I was a little troubled by no mention of skin cream so I hope this information is helpful. Thanks for all the tips! Let me put your mind at ease, Sheila — we are covered in sunscreen. We use the La Roche-Posay that you mentioned (The Photographer read about it Consumer Reports), although I favor Neutrogena Ultrasheer Dry-Touch SPF 30 (with periodic re-application). 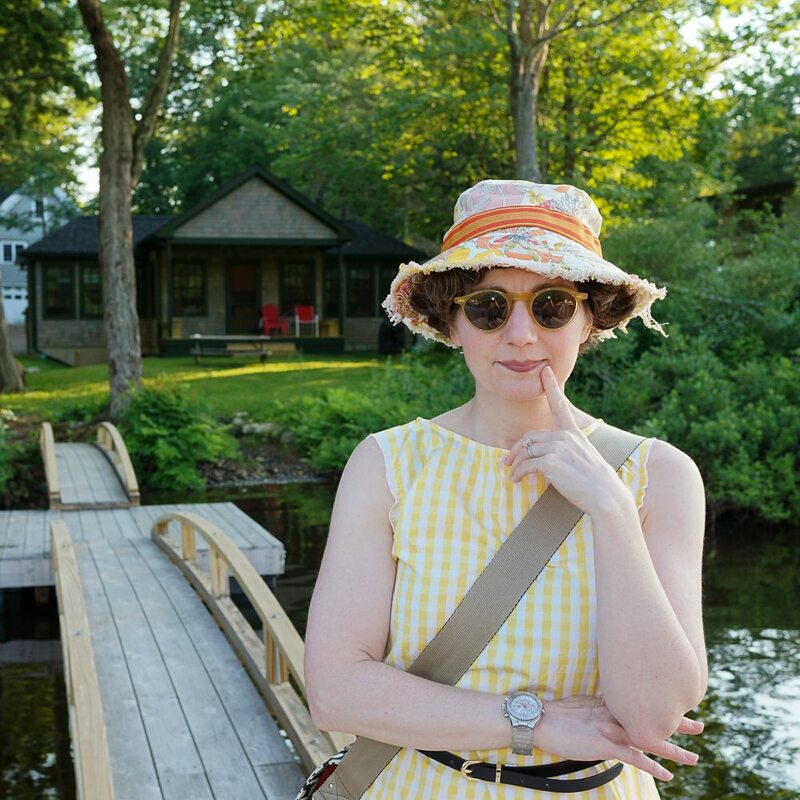 When I return to the office, I will be so pale that people will think I’ve been at home in bed with a cold and not frolicking at the ocean/lake/mountains. That’s a promise! The white jeans are from JCrew; the black exercise pants are a brand called MPG — they are ruched and have patch pockets on the front.